Pierre has a general litigation practice and regularly appears in a wide range of matters in the Gauteng Division of the High Court, both at Johannesburg and Pretoria, as well as Magistrates’ and Regional Courts across Gauteng and elsewhere. Before being called to the bar, Pierre was employed by the City of Johannesburg where he became intricately involved in corporate governance, administrative law, public sector law and municipal law. Prior to his employment with the City of Johannesburg he completed his articles of clerkship with a Johannesburg law firm whereafter he practised as an attorney for a number of years in Johannesburg. At the beginning of 2013 he commenced pupillage at the Pretoria Bar where he served pupillage under the mentorship of Advocate Wayne Gibbs. He practiced from Circle Chambers in Brooklyn, Pretoria from 2013 – February 2017. 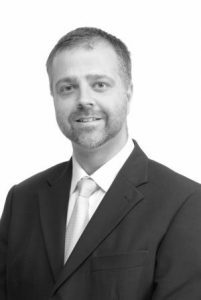 From 1 March 2017 Pierre took up chambers at The Maisels Group of the Johannesburg Bar.